A tremendous culling of blurb-speak (Biblioklept). From the National Book Awards: Inspiration c/o Isabel Allende and congratulations to Coffee House Press (Vulture, Star Tribune). ‘We call this core dynamic the propaganda feedback loop: You cannot afford to do anything else in that media ecosystem—you lose audience if you push back with facts that do not conform to the identity’ (Boston Review). Sarah Pape on finding words for the fire in Butte County (New York Times). Parents might ‘need to think carefully about how a child’s values, attitudes, and beliefs will be shaped by classic stories that include outdated language and stereotypes’ (The Walrus). A look back at khipu literacy (Aeon). ‘For 88rising, while rap will always be front and center, expansion into a plethora of adjacent industries was built into the business model’ (Rolling Stone). Competitive book sorters clock 12,330 books in one hour of competition (Atlas Obscura). Inspiration in the unfamiliar, a seasoned editor submits, and architectural prompts for word-laying (Submittable). The Whiting Foundation is accepting applications for its Literary Magazine Prizes. For Issue 5, Cagibi seeks poetry, fiction, nonfiction, and works in translation. Gulf Coast is hosting an open call for writing in response to the Stonewall uprising’s 50th anniversary. Target Gallery, the contemporary exhibition space of the Torpedo Factory Art Center, invites artists proposals for solo exhibitions in the summer of 2019. Garrard Conley will judge the Pigeon Pages Essay Contest. Two Sisters Writing and Publishing LLC seeks theme-based writing (short stories and personal essays) for publication, contests, and anthologies. For a special issue, Transition Magazine seeks to engage a dynamic conversation on the topic Black Women/Superheroes. Southern Humanities Review seeks fiction, nonfiction, and poetry. For its blog, THE REVUE, The Spectacle seeks new, intelligent, and evocative work in several categories: MINIMA, TOMFOOLERY, REVIEWS, and EPHEMERA. daCunha is seeking fiction and creative nonfiction. Authors receive online publication, a professional audio version of their work, and more. The Woodstock Byrdcliffe Guild offers 5-month seasonal artist residencies. The J. Anthony Lukas Prize Project Awards from the Columbia Journalism School recognize excellence in nonfiction that exemplifies literary grace and commitment to serious research and social concern. Feminist Incubator Space, from Project for Empty Space, is a series of short-term residencies, happenings, conversations, performances, and public discourses focusing on the empowerment and freedom of women. Hot Metal Bridge, a Pittsburgh literary magazine, is open for fiction, nonfiction, poetry, and visual art. Publication and $2,000 will be awarded to the winner of the Hamlin Garland Award for the Short Story from Beloit Fiction Journal. Burningword Literary Journal is a quarterly international publication focused on emerging and established authors of poetry, short nonfiction, short fiction, photography, and digital art. The Willis Barnstone Translation Prize, facilitated by The Evansville Review, will award $1,000 for a translated poem. JuxtaProse Literary Magazine seeks previously unpublished poems for its 2018 Poetry Prize. Grand prize is $1,000. The International Women’s Media Foundation seeks a Program Assistant. The Los Angeles Times is calling for summer interns. Submittable seeks a full-time Product Designer. The Submishmash Weekly playlist is new each week. Primed for your Thanksgiving travel, a selection of songs draped in autumnal evening. Featuring Mount Kimbie, James Blake, Loyle Carner, and more. Be sure to follow Submittable on Spotify for more great music. 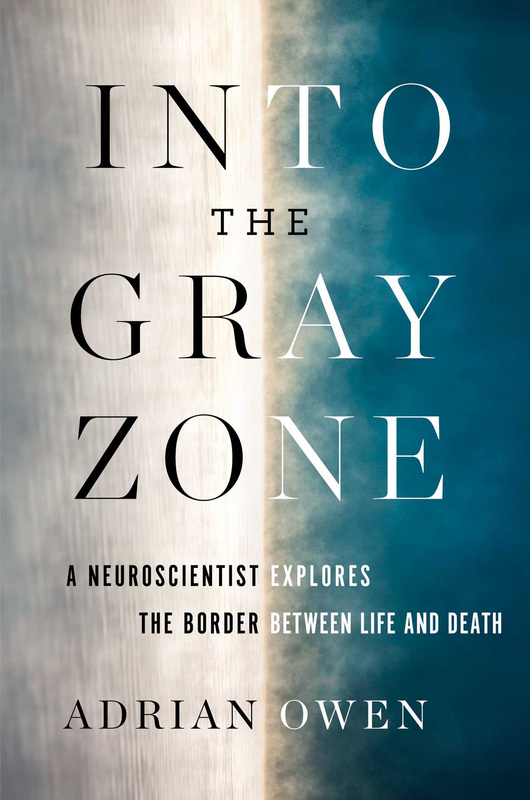 Technical Support Specialist Hannah Bolig is reading Into the Gray Zone: A Neuroscientist Explores the Border Between Life and Death, by Adrian Owen. A neuroscientist’s exploration and passion for exploring the “gray zone” has not only educated us but has helped “find” patients that were once thought to be oblivious to the outside world, which is nothing less than awe-inspiring. This book is as heartbreaking as it is necessary.